“Long years ago we made a tryst with destiny, and now the time comes when we shall redeem our pledge, not wholly or in full measure, but very substantially. At the stroke of the midnight hour, when the world sleeps, India will awake to life and freedom.”- Jawaharlal Nehru on August 14, 1947. India, the place of non violence and the country of Mahatma Gandhi, chose the Bharatiya Janata Party (BJP) discredited for its Hindu sectarianism in its 16th Lok Sabha election of 2014. 38.5% Indians voted for BJP led National Democratic Alliance (NDA) and elected a prime minister accused of communal riot. It is the first time since the 1984 Indian general elections that a party has won enough seats to govern without the support of other parties. In its 2014 election manifesto BJP promised for a Ram Temple in Ayodhya and protection of Cow, the two most highly controversial issues of secular India. Evidently these promises helped NDA to get the votes of majority but clearly heightened the insecurity of minorities. After the election, forceful conversion of religion by the program of Ghar Wapsi and killing innocents on the suspicion of cow slaughtering shook the secular nature of India. Indian elites having faith in pluralism are giving back their National awards out of disgrace. On this context, the debate of the Two-Nation theory as well as the partition of British India on 1947 has sprung up once again. The Two-Nation Theory in its simplest way means cultural, political, religious, economic and social dissimilarities between the two major communities of India – Muslims and Hindus. Proponents of the Two-Nation Theory identified Hindu and Muslims as two different and politically rival nations and demanded for a separate Muslim land. With contemporary intolerance in India, the debate whether the theory was genuine or not has started again. The maltreatment of minorities is now exemplified by the supporter of the two-Nation theory for the justification of that theory. The Two-Nation Theory has been a controversial one since the beginning. As 69 years have already passed it has become a bit easier to analyze the historical perspective of two-Nation theory and its consequences impartially. Historical documents have become available and the roles of Key players of participation have been investigated again and again. This paper has investigated the historical context within which the two-Nation theory originated and will critically compare the contemporary situation with pre partition time. Since the arrival of Islam in Indian subcontinent, it had been gaining high acceptance among lower caste Hindus and oppressed Buddhist. These new Muslims could manage to live with their old neighbors peacefully for a long time. This amity continued during Muslim reign with little ups and downs. Unfortunately communal harmony began to distort when British East India Company occupied India. They imposed Divide and Rule policy to secure their hegemonic status. In the initial years of colonization East Indian Company sought the help of Hindu’s to defeat Muslims since Muslims were the former rulers of India and later on British Government tired to patch up with Muslims to suppress Indian Nationalism. Indian National Congress founded by Allan Octavian Hume on 1885 was a platform for Indian nationalists. Unsurprisingly, elite Muslims affiliated with British Government like Sir Syed Ahmed Khan, Syed Amir Ali proscribed Muslims to join in congress. Badruddin Tyabji, the third president of congress wrote a letter suggesting A.O. Hume to stop annual congress meeting for five years so that Indian National Congress could incorporate Muslim under its umbrella. From this letter it had been exposed that Muslims were not willing to join congress for their communal interest. To protect Muslims interest Syed Ahmed khan founded an alternative institution Muhammadan Anglo-Oriental Defense Association in 1893. His son Syed Mamaud and a professor of Aligarh College Theodore Beck proposed that where Muslims are 25% or more than 25% of the total population should have an electoral parity. According to Jashwant Singh this was the idea which ultimately gave birth the Two-Nation theory. The 1937 Indian provincial election conducted by the British Empire to keep the growing freedom seekers within its sphere of influences resulted as National Congress in power of 8 provinces out of 11. Congress denied considering Muslim league as the sole organization of Muslims. Congress rule in the provinces ignited fears of Hindu rule and brought charges of atrocities against Muslims. It introduced Vidya Mandir system, forced Muslim students to sing vande maataram. 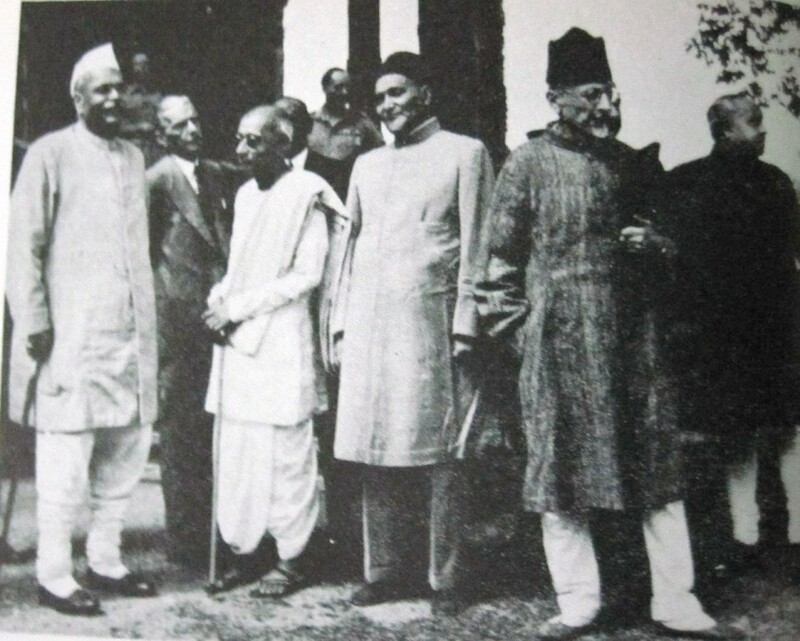 In this chaotic environment the premier of Bengal and Punjab A.K Fazlul Hauq and Sir Sikander Hayat Khan decided to lend their support to an all India Muslim party. Several reports were published to condemn the Congress rule. A report named “Muslim sufferings under congress rule” was published by A.K Fazlul Hauq. On his report he mentioned that on congress ruled provinces Muslims could not perform their Islamic practices properly. The Shareef report collected the facts, concentrating on ill treatment of the government with the Muslims in Bihar. The federation system outlined in the 1935 Provincial Act under which provincial election of 1937 took place that made Muslims uneasy. Muslims could see that a congress dominated centre could ride roughshod over the provinces so long as the unitary structure of the colonial state remained intact. Preferring strong provinces and a weak centre, Muslim majority provinces wanted better assurance of autonomy. An all India federation offered no consolation to Muslims in provinces where they were minority. Separate electorates, even with weighted representation, were simply inadequate. Muslim numbers in the federal assembly would be insufficient to override the congress vote. So long as they remained a minority, Muslims could not expect anything more than a marginal role in setting how power was to be shared in an independent India. So Mr. Jinnah the leader of Muslim League gradually became interested to create a separate state where Muslims will be a permanent majority. 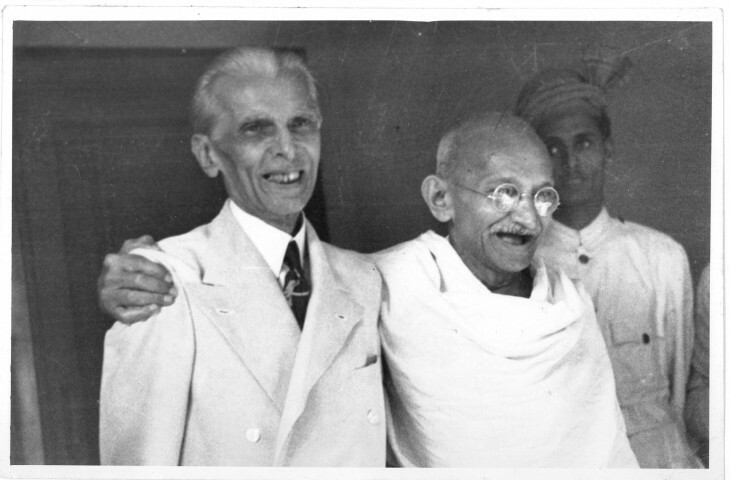 Finally, the Lahore resolution of 1940 became the year when Jinnah declared his famous Two-Nation Theory. After the ascendancy of power by the BJP led NDA coalition, Hindu extremist groups such as RSS and VHP got an open license to execute their extremist programs. Ghar wapsi is such a controversial program. Ghar Wapsi is a term given by the Hindu organizations which are indulged in reconverting people who were earlier Hindus but got converted to Islam or Christianity .Ghar Wapsi in Hindi literally Means “To Come Back Home” to accept back their ancestral religion. These groups promised for providing a better life and usually target the poor minorities or socially vulnerable. More over they sometimes force people to change their faith. For instance, Uttar Pradesh DJS head Rajeshwar Singh said “Our target is to make India a Hindu Rashtra by 2021. The Muslims and Christians don’t have any right to stay here. “So they would either be converted to Hinduism or forced to run away from here”. However, he was arrested later. Cow slaughtering is another contentious issue between Hindu and Muslims. Most of the Indian States put a ban on cow slaughtering. Muslims slaughter cow as the form sacrifice according to their belief, Hindu considered it a holy mother. 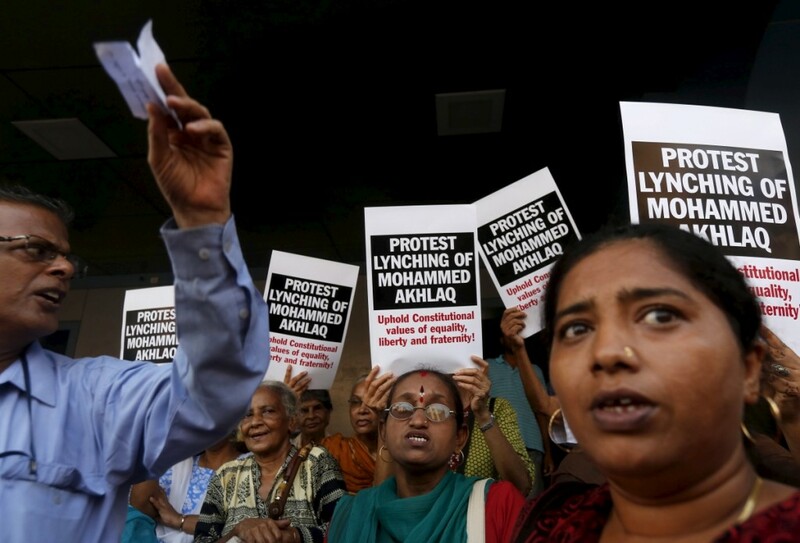 Often Muslims are lynched on the suspicion of cow slaughtering. BJP MP from Gorakhpur in Uttar Pradesh Yogi Adityanath has launched a campaign for declaring cow as ‘Rashtra Mata’, claiming his demand “embodies the sentiment of every Indian.”This kind of campaign often turns into mass hysteria. For instance, A Muslim man was lynched by a mob in Bisada village near Dadri, Uttar Pradesh, following rumors that his family was storing and consuming beef on September 30, 2015. Around 200 persons attacked the residence of Akhlaq after rumors spread in the village that a cow has been slaughtered. The mob allegedly beat 50-year-old Akhlaq to death while his son Danish was critically injured. The promise of secular India from the Indian ruling elite is proving inadequate to protect the minorities. While secular India is losing its place towards a Hindu communal ideology, Muslims and other minorities of India is feeling the heat. So the Two-Nation theory is gradually becoming relevant again, at least in the thoughts of minorities. The context within which Two-Nation Theory emerged was apparently similar with the contemporary situation of India. During its provincial reign Congress established Vidya Mandir and Muslim students were forced to sing vande maataram, a song, conflicting with their religious belief. In the same way, with Ghar wapsi program, minorities are forced to convert into Hindu as well as they are often restricted to perform their religious duties such as Kurbani. So apparently it seems that the situations are quite alike. But if we investigate in a substantial level, we shall identify a qualitative difference between these two phases of time. During 1937, the civil society of India was not organized or even if organized was not influential enough to criticize and mould the policy of Congress. The contemporary civil society of India is considered one of the strongest elements of Indian State. 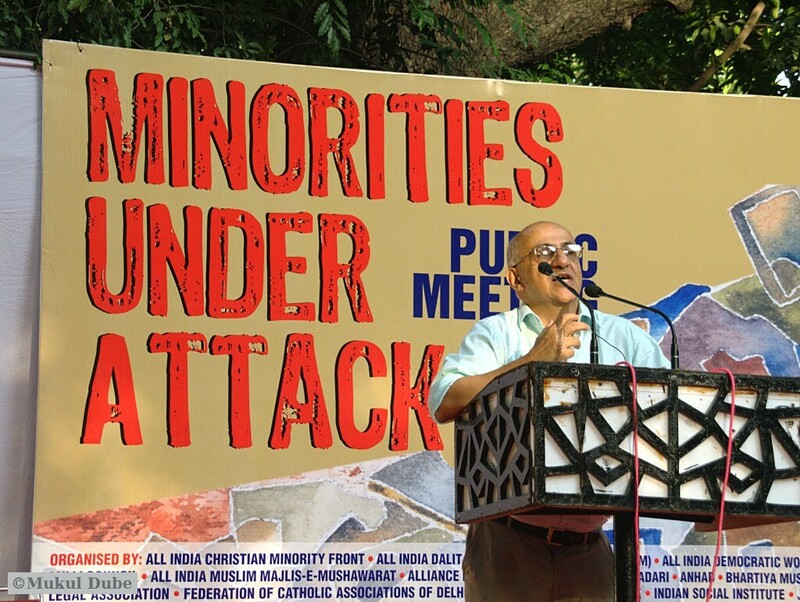 This civil society is secular in nature and vocal against any kind of communal persecution. So the possibility of the revival of Two-Nation theory in its oldest form is not likely in near future if the civil society raises their voice on time against persecuting the minorities.